The global space industry is reeling after three cargo disasters in less than a year have delivered a costly blow to efforts to supply astronauts aboard the International Space Station. The explosion of SpaceX's Falcon 9 rocket on Sunday also raised new questions about whether US rockets are safe enough to start launching astronauts to space as planned in 2017. "It is unfortunately part of the business. The idea of 100 percent reliability is just not there," said Eric Stallmer, president of the Commercial Spaceflight Federation. "I am saddened at what happened today but tomorrow we will bounce back." "We expected through the commercial cargo program we would lose some vehicles. I didn't think we would lose them all in a one-year time frame," Gerstenmaier said. He added that there was no common link to the accidents, and negligence was not an issue. Rather, he said, the problems show just how difficult it is to fly rockets. "We are essentially operating systems at the edge of their ability to perform." Prior to Sunday, SpaceX had flown its Falcon 9 rocket 18 times in a row without incident. The company, headed by Elon Musk, the cofounder of PayPal and Tesla, also recently won the confidence of the US Air Force to deliver national security payloads to space. SpaceX and Boeing are leading the US commercial industry's race to send astronauts to low-Earth orbit by 2017. The United States has been unable to send astronauts to space since the 30-year shuttle program was retired in 2011, leaving the world's astronauts to travel aboard Russian Soyuz vehicles at a cost of $70 million per seat. "This doesn't change our plans," SpaceX president and chief operating officer Gwynne Shotwell told reporters after the accident. She declined to say how much the explosion had cost the company. "I don't anticipate this to affect any program that we have ongoing. We must find this cause of failure. We must fix it, and obviously we are going to get back to flight." However, some experts were alarmed by succession of problems -- even if they are unconnected. "People can put a positive spin on it," said analyst John Logsdon, former director of the Space Policy Institute at George Washington University. "But three missions in a row to bring up experiments and supplies? The loss of that cannot be good," he said. "There is no way they can say they are in good shape." The next cargo supply ship to fly to the ISS will be a Russian Progress capsule, blasting off on July 3. A Japanese HTV ship is launching in August, and Orbital -- which like SpaceX has a billion-dollar-plus contract with NASA to supply the ISS -- is expected to launch again sometime in the fall after a one-year hiatus. 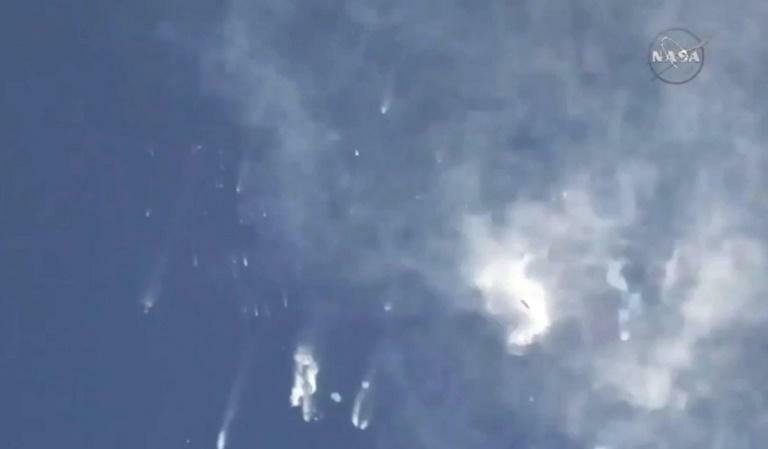 According to rocket industry analyst Marco Caceres of the Teal Group, the pressure is on for SpaceX to fly again quickly, as soon as it figures out the problem that caused the blast. "The moment they launch again successfully, this accident starts to fade into history really quickly," Caceres told AFP. "The longer they wait to launch again, the more people start talking about, 'Maybe we were too overconfident about SpaceX,'" he added. "The key is not to launch too quickly because back-to-back failures would be disastrous. Really disastrous."